Aston Villa are reportedly one of a number of English clubs targeting 20-year-old winger Alex Marshall. The Jamaican star plays for Cavalier in his home country and has already made seven international appearances, catching the eye of Villa and Tottenham, Liverpool, West Ham and Leicester. New Villa boss Dean Smith is reportedly looking to add to his coaching staff after securing John Terry as his assistant last week. Experienced striker Darren Bent is keen on signing for former club Ipswich Town, where he began his career. The former England international is a free-agent since being released by Derby County at the end of the season and said a return to Portman Road would be a “fitting” last stop in his career journey. Reading are said to be lining up replacements if they decide to sack Paul Clement. 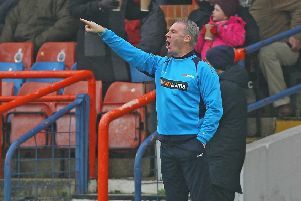 The Royals have identified Bolton boss Phil Parkinson as a target after some impressive performances from the Trotters. Meanwhile, the search for a new owner at the DW Stadium continues as two international investors are said to be competing to complete a deal.